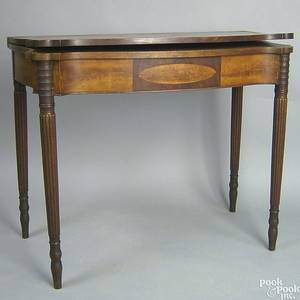 Three pocket watches, chain and fob, ca. 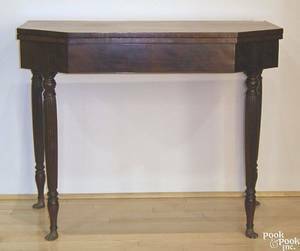 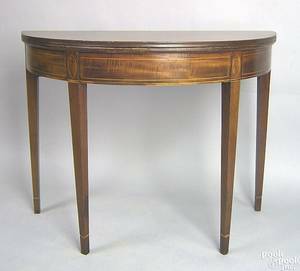 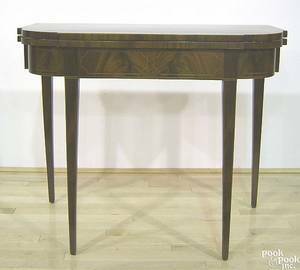 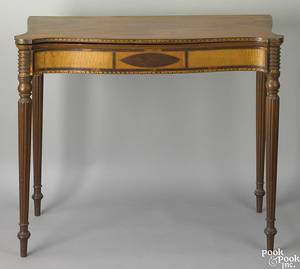 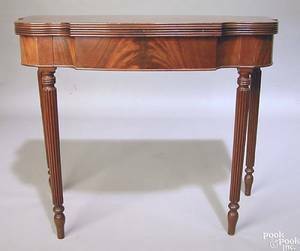 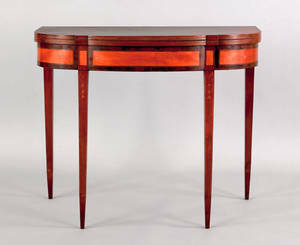 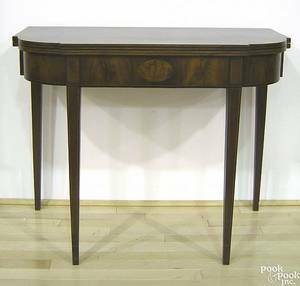 Massachusetts Federal mahogany card table, ca. 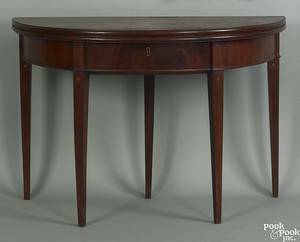 1810 , the elliptical top over a frame with flame birch panels supported by bellflower inlaid legs, the underside stamped "S.P. 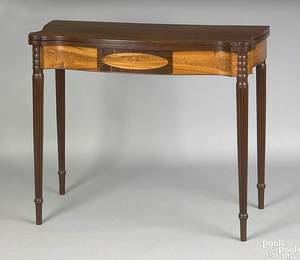 Smith" several times, 29 1/2" h., 36" w. Samuel Smith is listed as a cabinetmaker in Manchester around this time.